Author Posted on April 7, 2011 Categories NowdoucitTags Cori Rigsby, ex rel Rigsby v State Farm, http//slabbed.org, Kerri Rigsby. Rigsby qui tam, Sop19 Comments on "The road not taken"
Henry Mouton, a former state Wildlife and Fisheries commissioner, is trying to negotiate a plea deal to resolve federal charges that he took $464,000 in bribes from a rival landfill owner in a conspiracy to close the Old Gentilly Landfill, according to a court filing Tuesday. Mouton’s attorney cited the plea talks in a motion seeking to postpone an April 21 pretrial conference and a May 9 trial date. “A plea agreement has not been finalized and defendant desires to continue the pretrial conference and the trial date to allow the completion of these discussions,” wrote attorney Mary Olive Pierson, who said prosecutors support postponing the court dates until after May 15. U.S. District Judge Martin Feldman had not ruled on the motion by the close of business Tuesday evening, according to online court records. Slabbed reports. You tell us who is sleeping well tonight! The Order makes no mention of how this matter came to his attention. My guess is from his exceedingly careful reading of documents he’s reviewing before deciding matters currently before the Court. Not that he wouldn’t otherwise, but Don Barrett’s recently filed Motion for Fees pointing out “defense lawyers have been banking their money for years” from Katrina litigation and piling on more work for an already overworked court staff in the process. In that regard, I suspect – actually I hope – Judge Senter will do as he’s done in the past and allow a document to be filed once and referenced in all briefs thereafter. My experience reading briefs in ex rel Rigsby is like reading the first chapter of a newly purchased Agatha Christi and realizing you paid for a new cover and title to a book you’d already read! Hey, Phil, "Ours is a nation of laws, not judges"
… neither this court, nor any other court, can tolerate a situation where a judge decides to follow his/her own custom and concepts of justice rather than the precedent of the applicable appellate court or the United States Supreme Court. Ours is a nation of laws, not judges. Author Posted on April 5, 2011 Categories NowdoucitTags Chief Judge of the Fifth Circuit Court of Appeals Edith Jones, Fifth Circuit Judge Leslie Southwick, Lt. Governor Phil Bryant, Redistricting7 Comments on Hey, Phil, "Ours is a nation of laws, not judges"
Although not as often as I’d like, I grab my camera, visit with the Sop family and revisit places that I saw while on the Coast providing disaster assistance following Hurricane Katrina. 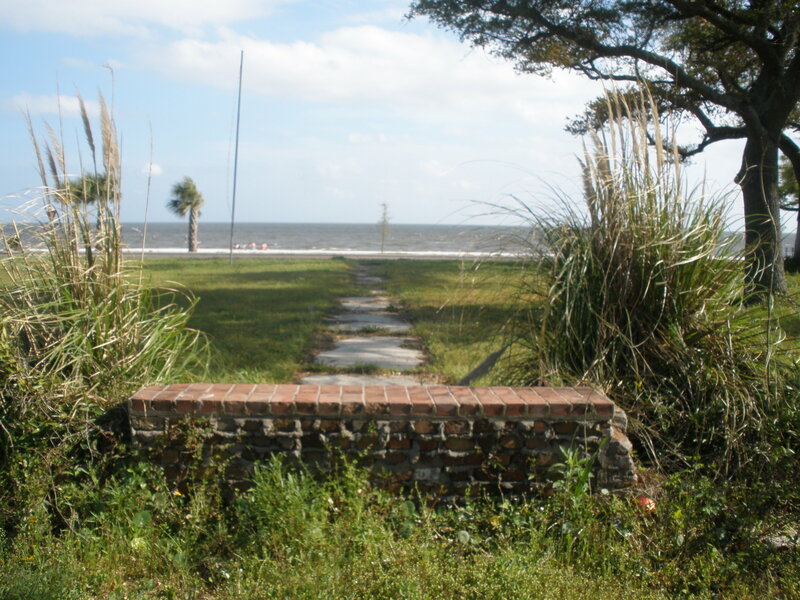 I took these photographs March 26 and, as I reflect on what I saw, I’m reminded of how little has changes since my August 2008 SLABBED post Not what you see but what you don’t…the post-Katrina coast. Capella plays “hat trick” on Grand Jury! “Ohhhh. 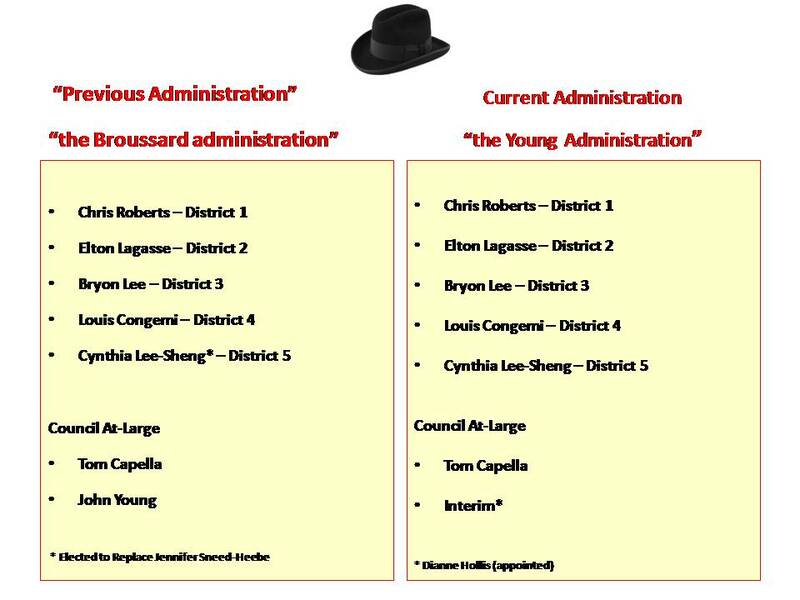 Ayeeye” – Sop put the black hat on the spokesman for the Jefferson Parish Sopranos – but let’s not forget that it was Council President Tom Capella who stood on his hat box and played a hat trick on the Grand Jury. Sure thing, Tom, anyone can see there is no relationship between the members of the current Parish Council and those of the “previous administration”! Not even the revirginating John Young could sell that! Author Posted on March 27, 2011 Categories NowdoucitTags Byron Lee, Chris Roberts, Cynthia Lee-Sheng, Elton Lagasse, Grand Jury, Jefferson Parish "Sopranos", Jennifer Sneed Heebe, John Young, Louis Congemi, Tom Capella5 Comments on Capella plays “hat trick” on Grand Jury! No time at the moment to do more than get these up for the SLABBED-nation to read. Have it at! The USA’s brief follows and the Heebe-Ward-River Birch brief is below the jump. Mississippi makes list of 10 top states – for highest auto insurance rates – but Louisiana roars in at #2! After Michigan, where the average rate is $2,541 a year, the second-highest rates are in Louisiana, where drivers pay an average of $2,453. Three other states had average rates above $2,000 a year: Oklahoma, Montana, and Washington, D.C. 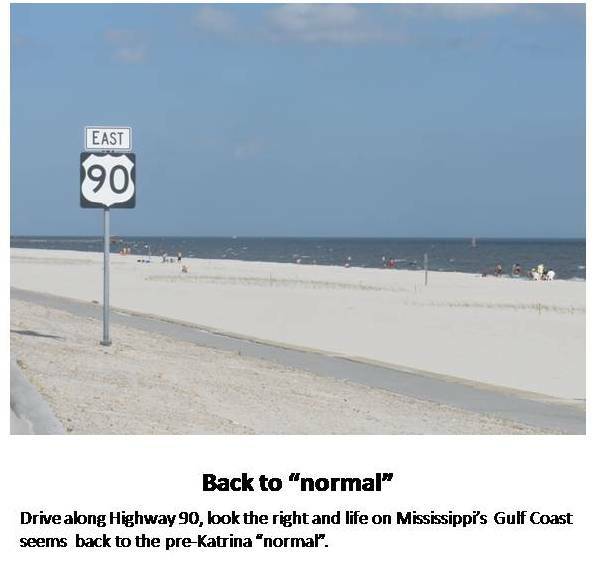 Author Posted on March 23, 2011 Categories NowdoucitTags Auto Insurance Rates, HB6207 Comments on Mississippi makes list of 10 top states – for highest auto insurance rates – but Louisiana roars in at #2! The Sun Herald reports, “U.S. District Judge Henry Wingate delayed the resentencing Monday in Jackson so he can take more time to consider pending motions seeking to throw out all of the convictions in the case. Judge Wingate gets it! I suspect a lot of others, including a lot of lawyers, don’t – or, more likely, don’t want the law applied in USA v Minor or USA v Scruggs. Minor’s attorney, David Debold of the Washington, D.C., law film Gibson, Dunn & Crutcher…said he knows it’s not easy for a judge to reverse a case this late but it’s the right thing to do in the wake of the high court decision limiting the honest services statute”. …contrary to the Government’s naked assertion, the fact that Judge Lackey was not an agent for federal grant is properly before the Court because that means that Petitioner is “actually innocent” of the 18 U.S.C. § 666 crime alleged in the Indictment See Petition, D.E. 303 at 10-11 (discussing Whitfield v. U.S., 590 F.3d 325 (5th Cir., 2009)). Both of these cases were very painful for members of the legal profession. However, the legal profession’s deafening silence in the face of the 5th Circuit and USSC decisions is painful to those up us who believe none are above – or below – the law. Equal justice is not a popularity contest!